Pandan Leaves Health Benefits – Pandan leaves are usually used to provide fragrant food. This plant is scientifically included in the genus screwpine and is native to Southeast Asia. The smell of fresh pandan leaves is very soft and good to use on food. This shrub-shaped tree is widely grown in pots or in open fields in wet and watery place. 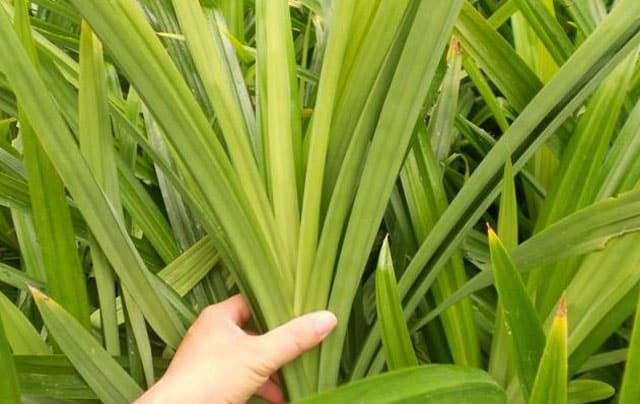 Before we see the benefits of pandan leaves for health, we first look at the benefits of pandan leaves in general which includes use in cooking. Pandan leaves have a sweet taste and usually used in various cuisines and drinks. Pandan leaves are usually used in a knotted way and put into pudding, soup or drink. Other foods that often use pandan leaves are glutinous rice, yellow rice and others. However, there are also pandan leaf extracts available in the store, this extract is different with the original leaves, because it has been mixed with the dye. Pandan leaves are also useful for wrapping food, this becomes a culture in a certain place. For example chefs in southeast Asia, they use pandan leaves to wrap food from pork, chicken, fish, and sticky rice. It aims to protect food and provide scents on food. It is different with Indians, they often throw the pandan leaf into the wells. Pandan leaves contain chemicals such as 2-acetyl-1-pyroline (2AP). This keeps the insects away from the pandan leaves and surrounding areas. Taxi drivers in Singapore and Malaysia use these leaves in their cars to drive away and prevent the coming of cockroaches. So, the benefits of pandan leaves are almost the same as the benefits of lemongrass and cloves that are also used to repel insects. In addition to the above benefits, pandan leaves are also useful for medicines in the traditional world. 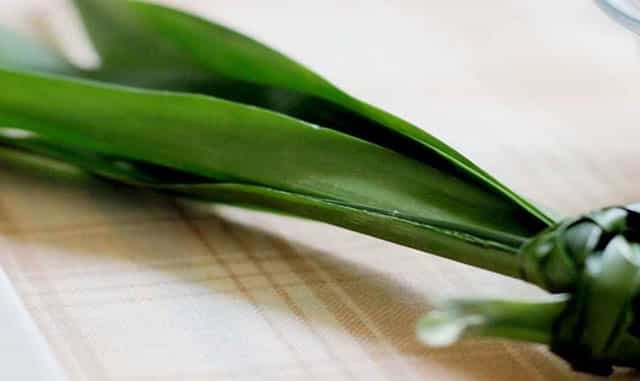 Pandan leaves can treat some types of skin diseases and diabetes. Herbal health experts use these plant roots to treat diabetes. In addition to treating, these leaves are also used as cosmetics. Frankincense of pandan leaves is one of the ingredients for perfume and other fragrance cosmetics. Dried pandan leaves are often used as raw materials in making the house. Especially the manufacture of straw house in the traditional community. In addition, dried pandan leaves also good materials for making baskets, clothing and mats. In fact, women in the Pacific islands make their skirts by weaving dried pandan leaves. As quoted “What Herb Is That”. Well, after we know the benefits of panda leaves in general, now we see more the pandan leaves health benefits. Although pandan leaves famous as a complement to the cuisine, but this green leaves also have tremendous benefits for health. Here we see one by one. For people with high blood pressure, the presence of pandanus plants is very important. Why? Because pandanus can be an alternative medicine to treat high blood pressure. Furthermore, the pandan leaves health benefits is to treat rheumatism. Rheumatism is very painful, especially on the part of the bone because this disease attacks the bones and gives pain. For people who experience or indicate weak nerves, pandan leaves can be one of the best choices in treatment. The nerves are part of the body that plays the role of almost every body function. So, if nerves health is good, certainly other health will also improve. Pain and joint pain in the joints can be overcome with pandan leaves. Not only to overcome the problem associated with aches, but can also prevent it from return. Furthermore, the health benefits of pandan leaves is to overcome health problems associated with impotence. So, pandan leaves are a natural remedy for overcoming married couples. Skin diseases such as panu, kadas, ringworm can be treated with pandan leaf extract. Pandan contain anti-bacterial and anti-fungal so good treat diseases caused by fungi and bacteria. Constipation is a digestive problem that Should not be underestimated. If constipation turns to chronic constipation it will appear a variety of serious diseases such as colon cancer and others. So, if you experience this digestive problem immediately overcome with pandan leaves.